When the very air that we breathe is contaminated how can we protect ourselves and defend against its hazards? Occasionally work needs to be carried out in conditions that are described as being Immediately Dangerous to Life or Health (IDLH) and can occur when toxic chemicals, gases or particles are present or when there is a deficiency of oxygen. In such situations, individuals can be quickly overcome, are unable to effect an escape and could suffer severe and/or irreversible damage. 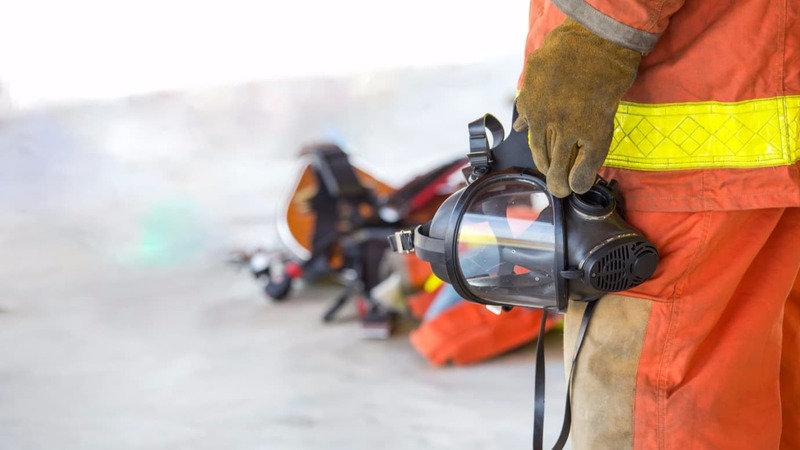 As statistics show that three out of four fire fatalities are caused by smoke inhalation, it is essential that respiratory protective equipment is worn when firefighters are subjected to or enter a hostile environment were chemical fumes, dust, fire, deficiency of oxygen or other respiratory hazards are expected. In most instances these will be life threatening situations and the protection afforded to the rescue personnel attending must be the very best available. The protection factors provided by different types of Respiratory Protective Equipment (RPE) are stated in BS EN 529:2005; Guide to implementing an effective respiratory device programme. As we face the increasing threat of terrorism, manufacturers and standards bodies are exploring ways to develop products capable of countering the types of hazards the modern firefighters and emergency response teams can expect to encounter, such as chemical, biological, radiological and nuclear agents. The fire and rescue service will predominately utilise Respiratory Protective Equipment conforming to EN 137, self contained open circuit compressed air breathing apparatus. This consists of a single unit covering the eyes, nose and mouth area allowing the operative to communicate and move without compromising the level of protection. As with all protective equipment it is important that the compressed air cylinder aspect of the apparatus does not limit the firefighter in terms of weight or design and hinder them from operations. The apparatus must be capable of performing in all orientations. Working in hazardous environments means you must consider personal protection. The risks involved in operating in a hazardous atmosphere, fighting fires, handling hazardous substances or attending emergency situations are such that there is always a potential risk to those who perform these tasks. As such the need for personal protective equipment is critical and should therefore be of the very highest quality. Personal Protective Equipment (PPE) is defined as ‘any device to be worn or held by an individual for protection against one or more health and safety hazards’. The regulations also apply to any system placed on the market in conjunction with PPE for its connection to another external, additional device. Protective equipment is expected to be safe and fit for its stated purpose. Manufacturers, distributors, legislators and users alike demand this minimum expectation. The industry-wide commitment to responsible manufacturing is supported and governed by a range of standards and regulations, eg the Personal Protective Equipment Directive (89/686/EEC). Before purchasing any PPE, specifiers should consult the ‘Personal Protective Equipment at Work Regulations 1992’. The regulations contain 14 regulations for employers to consider as part of their pre-purchase risk assessment. Purchasing to a standard does not necessarily satisfy all of the requirements of Regulation 6 Assessment of PPE. A guide entitled “A short guide to the Personal Protective Equipment at Work Regulations 1992” is available from the HSE to assist with appropriate selection. The PPE Directive became law on 1 January 1995 with a two year transition period for equipment manufacturers to adapt and implement the new requirements. For PPE products to be sold within the European Economic Area (EEA) they must be CE marked. The Personal Protective Equipment Regulations 2002 (SI 1996/3039) contain the enforcement powers extended to Trading Standards departments. Failure to comply with these regulations may mean that PPE may be prohibited from being placed on the EEA market. It should also be noted that if the product is placed on the market in non-compliance, the CE Mark for the product may be withdrawn. In all cases manufacturer can ‘self certify’ their products. Intermediate and complex design PPE For equipment that is in the complex category the manufacturer is required to have a CE Type Examination conducted by a Notified Body. The manufacturer must ensure that its products conform to either the relevant harmonised European standard (BS, EN, ISO) or a technical specification deemed to be appropriate by a Notified Body. It is important to note that products marked with a BS or BS EN standard reference have not necessarily been tested by the British Standards Institution. The CE marking process requires the manufacturer to submit samples for test to a Notified Body, such as BSI and they must produce their own ‘declaration of production conformity’. All of this must be reviewed and deemed acceptable before the Notified Body approves the use of the CE mark. In addition to this complex category equipment will require ongoing monitoring of production and products will then be subjected to regular testing to ensure continued conformance. The CE mark is a product conformity mark; it is not a product quality mark and should not be interpreted as such. BSI Product Services is a Notified Body for the Personal Protective Equipment Directive 89/686/EEC. BSI is actively involved as a Notified Body in eight main areas of PPE testing, Kitemark certification and CE marking namely hearing protection, respiratory protective devices, eye protection, head protection, footwear, gloves, protective clothing and high visibility garments. The Kitemark, British Standards Institution’s certification trademark, is a voluntary quality mark that is issued under licence by BSI. The Kitemark can be achieved for a wide range of personal protective equipment. This requires a manufacturer to have a comprehensive quality management system, based on ISO 9001: 2000 combined with initial product type testing and regular audit testing. Once achieved, the Kitemark can serve as an enhanced marketing tool in a competitive market, by demonstrating an ongoing commitment to quality and safety. A Kitemark scheme can be developed using a publicly available specification. This specification can either be a BS, EN, ISO or a trade association specification. Based on this specification BSI produce a formal protocol that is verified by the United Kingdom Accreditation Service (UKAS). What are the differences between the CE Mark and the Kitemark? The CE mark and Kitemark are not identical; one does not supersede the other. The Kitemark compliments the CE mark. While the CE mark is the minimum legal requirement for Europe, the Kitemark offers an additional programme of continual compliance monitoring of product and quality systems and thus gives peace of mind. Kitemark schemes are voluntary and as such they demonstrate that the manufacturer has made a commitment to producing safe, quality products time after time. It therefore offers a level of reassurance above the minimum legal requirements of the CE mark. To ensure that the PPE products you want to use are “fit for purpose” they can be tested to varying levels by independent testing bodies such as BSI Product Services. BSI Product Services, as part of the world renowned BSI Group, has been testing and certifying PPE for over 40 years and is a Notified Body for the PPE Directive and more than 16 other Directives. As an independent organisation impartiality is one of the key strengths affording their clients a real business asset. 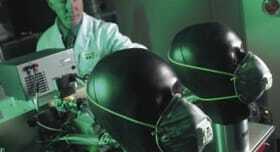 Expert and experienced staff test and certify respiratory protective equipment to a wide range of standards in dedicated UKAS accredited laboratories on site in the UK. These standards can include British (BS), European (EN) and International (ISO) or manufacturer’s technical specifications.